Hello friends! As you may know, I have been blogging almost 5 months. I enjoy blogging and am elated every time someone visits my blog. I really do get excited. I like to think of Paper & Fox as “the little blog that could”. I have come a long way in these 5 months, but have so much more to do and show. 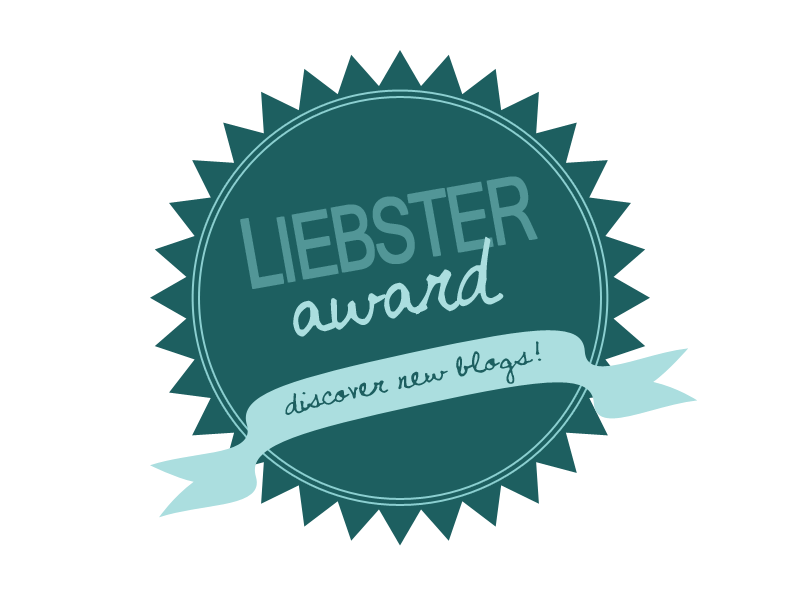 I was shocked when Allie at the fantastic blog, Cute Kid, Ugly House, nominated my little blog for a Liebster Award! Thank you, Allie! I am privileged to accept the award. If you have never heard about Liebster Award , no worries neither had I. I did some research and determined that being nominated means that you answer some fun questions about yourself & locate other newbie bloggers to nominate. The basic idea is to spread the good fortune around to other bloggers so that they also get noticed. This idea goes hand in hand with growing a blog and being apart of a blog community. Read my answers to the 11 questions selected by the blogger who nominated me. Find 11 bloggers with less than 500 followers to nominate for the award. Write a post on your blog featuring the Liebster Award and include in your post answers to my questions below. After you have written your post, comment on each of your nominee’s blogs telling them that you have nominated them. What is the funnest kind of post to write? There are some post that make me really happy. I love when I come up with a project that uses everyday materials and turns them into some thing beautiful. I don’t believe you need a lot of money to have beautiful things. My Book Page Wreath was really fun. Where do find most of your home decor inspiration? (store, blog, magazine) I find a lot of home décor inspiration from blogs and going into stores. I love walking around Anthropologie and looking at things that I cannot afford. What is the most difficult thing about blogging? I enjoy every part about blogging, but what I did not know before I started was how much time it really takes. I would say the most difficult thing about doing anything that you love is finding time. Metallic finishes or natural fibers? I like mixing metallic finishes with natural fibers. I will also never hesitate to spray paint anything. What is the most memorable place to which you’ve traveled? Venice, there is no place like it in the world. What do you want to be when you grow up? When I was a little girl I wanted to be a Hula Dancer. I think I liked the grass skirt. Would you rather have a $5,000 clothing shopping spree or a $5,000 home decor shopping spree? Home decor shopping spree- hands down. What is the best, or most successful, room makeover/reno/update/furniture salvage you’ve ever completed? I have a desk that was originally from a thrift store. I love it and it was the first desk that I owned. I revamped the backside of the desk so that it would not have to be place against a wall. What are your favorite kinds of DIY projects? I really enjoy writing about a really good trash to treasure DIY tutorial. I get so excited when I can take some that cost next to nothing and make it something that people like… and sometimes love. 2. What city do you love to visit? 5. What was the first blog you started to follow? 6. What is your favorite post you have written (please link)? 7. Have you ever written a post that you thought was going to be a success, but it wasn’t? If so, Link the post in your answer. 9. What interest do you have other than blogging? 10. What other social media outlets do you use? 11. Where do you see your blog one year from today? Anthro!!! I actually came over to look at your Anthro necklace cause I want to make it! Venice! How fun! Yay! Hula girl! Carmody, Thanks so much for the nonimation of Earning and Saving with Sarah Fuller for the Liebster Award. Appreciate it so much.